Law law law. Blah blah blah. Is this getting tedious? Perhaps this is why we hardly ever spend time in chapter 4 of Romans. I mean, come on, right! Let's get on to the "more than conquerers" and that "death has lost its sting" stuff… You know, the inspirational slogans. This "law" mumbo jumbo really doesn't interest most of us… and Christianity is supposed to be all about what interests us, right? But perhaps we shouldn't skip over what Paul spent so much time on. Maybe he wants something important to sink into the minds of his readers (in Rome). NIV Romans 4:13-15 It was not through law that Abraham and his offspring received the promise that he would be heir of the world, but through the righteousness that comes by faith. For if those who live by law are heirs, faith has no value and the promise is worthless, because law brings wrath. And where there is no law there is no transgression. There is nothing written in a legal document anywhere that declares Abraham and his descendants to be the lawful inheritors of "the world" (creation, the earth – Abraham's descendants would be the kings of nations according to God's promise— something we talked about briefly in the last couple of posts— and this ruling seems to have something to do with righteousness. It's almost as if true kingship isn't about controlling subjects but about righteous governance that emulates the love of God— more on this later). So there was no decree stating that Abraham's firstborn great-grandson's grandchild must be the heir. No, receiving God's promise has an alternative route. God gives righteousness to people because of faith. Now this is really good news. Why do we neglect understanding these "tedious" portions of Romans? Paul is letting his readers know that anyone who believes in God can be called an "heir" of the promise that God gave to Abraham. There is no law… there is promise. Why is this good news? Well, if the law were the law, then faith would have no place. And bluntly, if there was no faith, life would be crap. Think about it… if we were only able to live by law, there would be no room for faith… we would be slaves detesting rule… and yet forced to follow the rule of law. And when we inevitably broke the law (whether intentionally or unintentionally) we would be judged as law-breakers and would suffer the wrath/consequence that comes fairly as a result of crime. 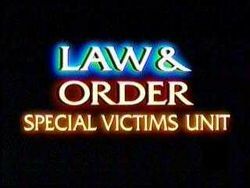 When it comes to law and order, there is always a victim. Life lived by law leads eventually to a violent battle between slavery and anarchy. Instead, the good news is that God allows people to live by faith… trusting God for the possibilities, potentials and power to live to the fullest… as we were created to live. Law brings sucky wrath. Faith brings unending promise. Note: And yes, this is why there are so many inspirational phrases in the letter-book of Romans… So to truly enjoy and understand them it is good to do the patient work to get there. Thanks for hanging in there with me!